[We have] worked with GeoStabilization International (GSI) for over 10 years. 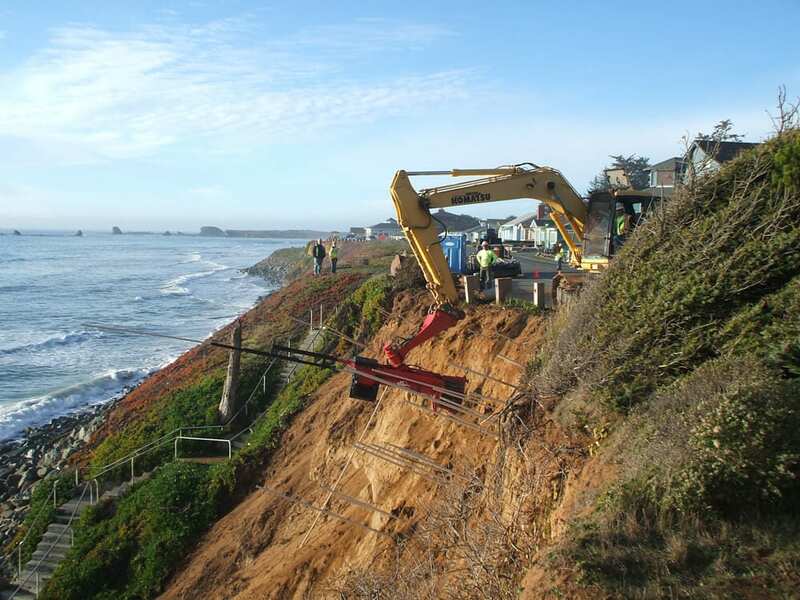 GSI is our “go to contractor” for difficult slope stabilization projects. We have worked with GSI to stabilize steep slopes and remediate landslides on numerous projects along highways, pipelines and railroad right-of-ways. We have found them to be an excellent partner and one of very few contractors capable of working in areas with remote/difficult access. Their experienced equipment operators are able to work efficiently under difficult and often hazardous conditions, and yet maintain the project schedule… [We have] recommended GSI to clients and subcontracted them sole source on … design-build projects. I have no reservations recommending GSI for geohazard mitigation type work on pipeline right-of-way or other projects requiring slope stabilization.